WhatsApp has been rolling out plenty of services for its users lately. While the majority of them have been oriented towards tackling fake news being spread on the platform, the company has ensured to roll out certain features to make the experience better for its users as well. In fact, WhatsApp is now all set to allow its users to be able to check their train status online via their chat application. Yes, that’s right. 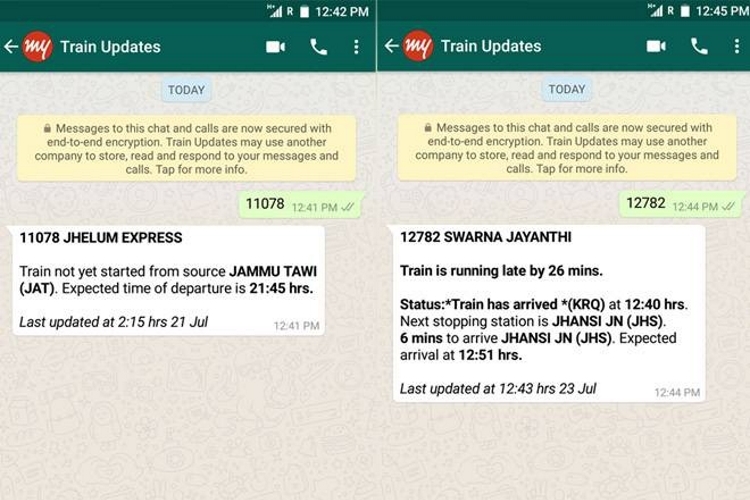 As per recent reports, Indian Railways has partnered with MakeMyTrip to provide live status updates of trains through WhatsApp in the country. 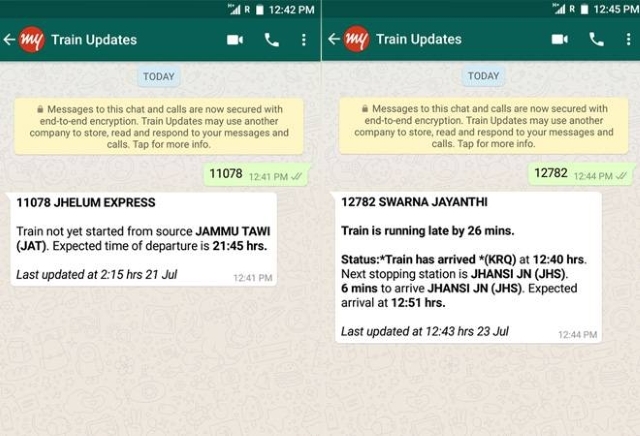 Interested passengers can request information regarding train timings, booking status, cancellation, platform number on which the train will arrive, by sending a request through WhatsApp. In order to make use of this ability, simply save the number “7349389104” on your phone or tablet. Then, whenever you require an update, simply send your specific train number to the aforementioned mobile number via WhatsApp. If the server is not busy, users can expect to get a reply within 10 seconds of the message getting blue ticks. The idea behind this move to drive people’s dependence to call on 139 to get train status. Many users even rely on third-party apps and websites for checking their train statuses, which at times, may even contain malicious content. However, with this new initiative by Indian Railways, users will be able to check their train status easily and safely.